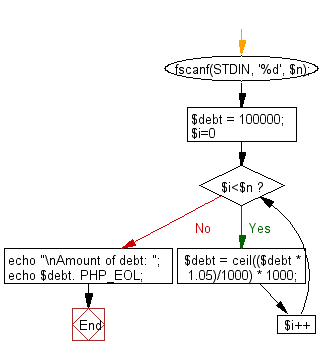 Write a PHP program to compute the amount of the debt in n months. The borrowing amount is $100,000 and the loan adds 5% interest of the debt and rounds it to the nearest 1,000 above month by month. An integer n (0 ≤ n ≤ 100) . 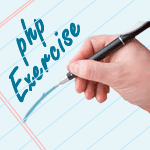 Previous: Write a PHP program which solve the equation. Print the values of x, y where a, b, c, d, e and f are given. Next: Write a PHP program which reads an integer n and find the number of combinations.